A beautiful Woodchip Basket filled with some of our favorites. 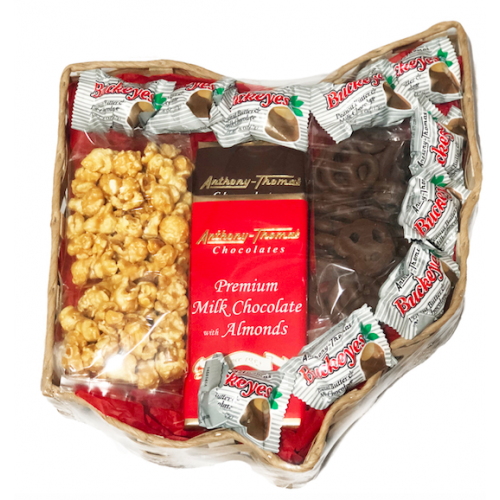 This gorgeous gift comes with Caramel Corn, Chocolate covered mini pretzels, enough individually-wrapped Buckeyes to share, and two large candy bars! Once all the candy is gone, this reusable basket shows your Ohio pride and creates endless possibilities.